Home \ Inspirations & Startups \ Jack dorsey Quote’s on success ! 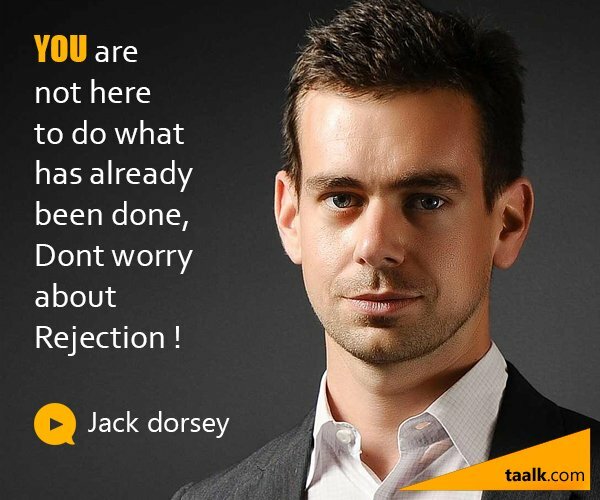 Jack dorsey Quote’s on success ! You don’t have to start from scratch to do something interesting. You donâ€™t have to start from scratch to have a massive impact on the world. You have to have a good idea. You have to convince other people of those good ideas. And you have to push as quickly as possible. The strongest thing you can cultivate as an entrepreneur is to not rely on luck but cultivating an ability to recognize fortunate situations when they are occurring. An idea that can change the course of the company can come from anywhere. Expect the unexpected. And whenever possible, be the unexpected. Its really complex to make something simple. A founder is not a job, its a role, its an attitude. And its something that can happen again, and again, and again. In fact it has to happen, again and again and again. Otherwise we would not move forward. 15 Amazing 3D Prints !